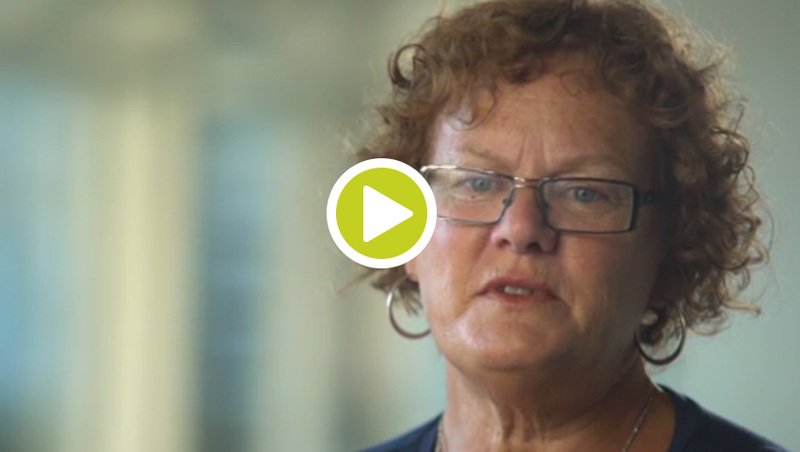 A bold healthcare initiative by the Canadian Foundation for Healthcare Improvement (CFHI) is revolutionizing the relationship between healthcare providers, patients and family members – by including families as partners in care. 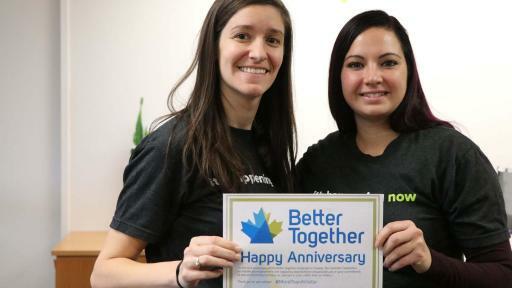 What started as a grassroots movement launched under the banner of Better Together is now sweeping the country; 50 Canadian hospital and healthcare organizations, including the provinces of Saskatchewan, New Brunswick and Prince Edward Island are now reviewing or have already adopted family presence policies – including 24/7 visiting hours. A November 2015 study by CFHI found that fewer than one in three Canadian hospitals had accommodating visiting policies, and even less offered 24/7 access to designated family members. 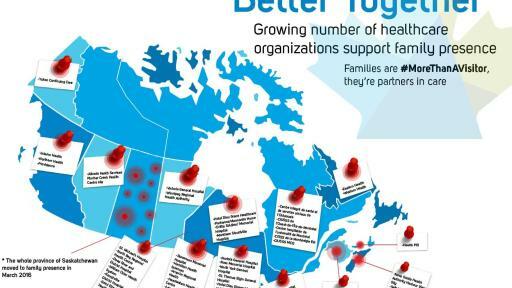 “Despite evidence clearly showing better care and health outcomes, family presence policies were more the exception than the norm in this country,” says Maria Judd, Senior Director, CFHI. “We’re encouraging Canadians to have conversations with their hospitals and healthcare organizations about whether they could identify a loved one to stay by their side around the clock if they so choose. Better Together: Families are more than visitors. They're partners in care. According to CFHI, research into the benefits of family presence shows: improved patient outcomes and experience of care; fewer medication errors and falls, better informed medical assessments and care planning; reduced lengths of stay, readmissions and emergency department visits. *St. Elizabeth Health Care’s policy will apply across Canada, including British Columbia, Alberta, Ontario, Quebec and Nova Scotia. In a 2015 poll conducted for CFHI, nine in 10 Canadians supported family presence policies. 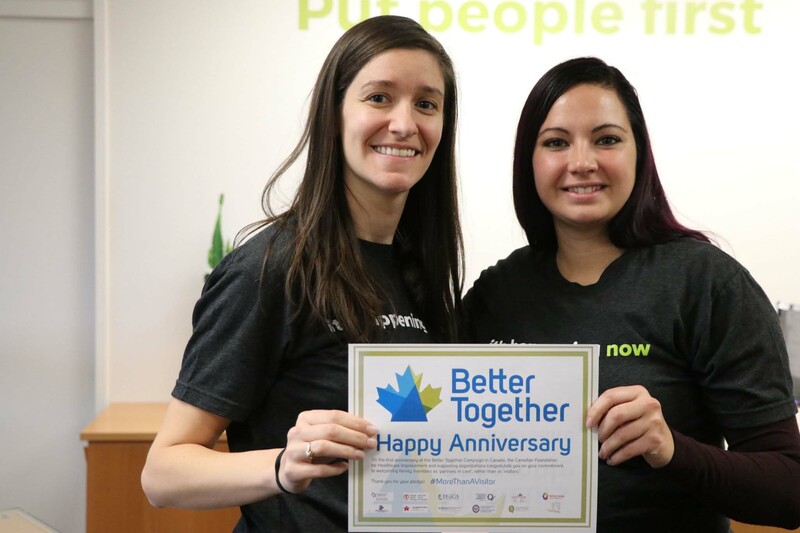 “The Academy of Canadian Executive Nurses (ACEN) is pleased to support the CFHI Better Together initiative. Families across all cultures play a pivotal role in wellness and healing; the recognition and commitment to partnering with families is a wonderful step in ensuring that the care provided integrates the familial context and is truly person centered,” says Lori Lamont, President, ACEN and Vice President & Chief Nursing Officer, Winnipeg Regional Health Authority. 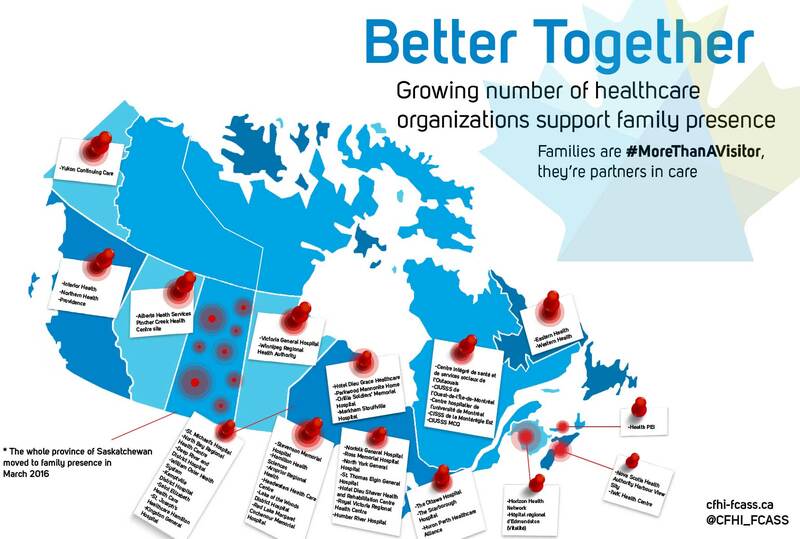 Better Together is supported by a coalition of 13 leading healthcare organizations, including provincial health quality councils, patient groups and others. This three-year campaign was launched by the Institute for Patient and Family Centered Care (IPFCC), a non-profit organization located in the U.S., that seeks to integrate patient- and family-centred care into all aspects of healthcare, working in partnership with patients, families, and healthcare professionals. Welcome families and loved ones as partners in care and engage them in planning and decision-making based on patient needs and preferences. CFHI is providing resources to help organizations make this change. 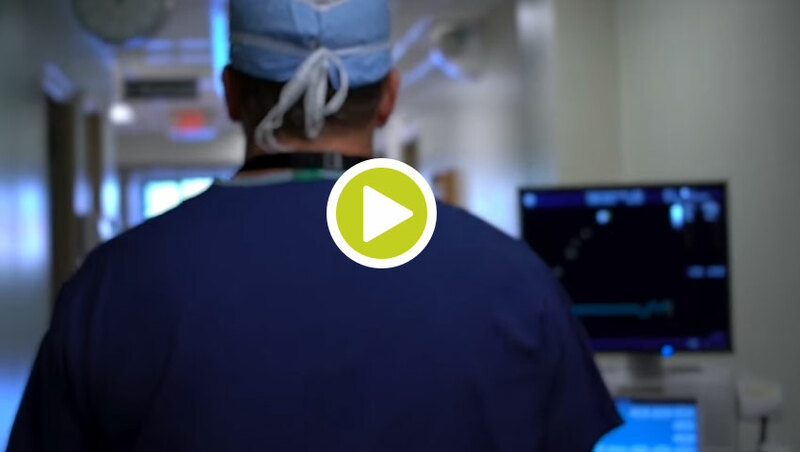 Start a conversation with your hospital about adopting family presence policies. CFHI and IMAGINE Citizens Collaborating for Health have created tips and resources about having these conversations and being a partner in care that are available here: http://www.cfhi-fcass.ca/WhatWeDo/better-together/resources. The Canadian Foundation for Healthcare Improvement identifies proven innovations and accelerates their spread across Canada, improving patient care, the health of Canadians and value for money. CFHI is a not-for-profit organization funded through an agreement with the Government of Canada. Visit cfhi-fcass.ca for more information.